Summer ends much too quickly and once again it's time for the kids to head back to school. 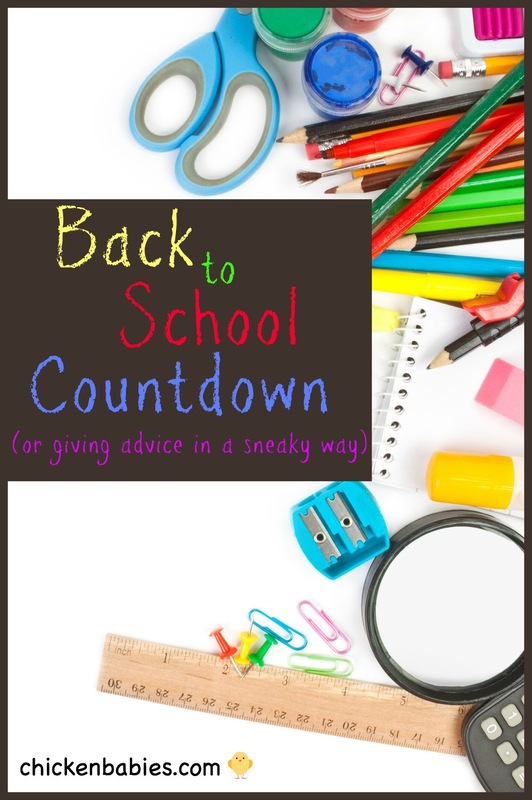 I started doing a "back to school countdown" when my daughter was transitioning from homeschool to public school for the first time in 4th grade. I wanted to share advice with her in a way she would remember and came up with this idea. Occasionally when I talk to my kids they zone out for some reason. It could because my friendly advice just comes out as a long list of dos and don'ts that are hard to keep track of. In order to help my kids remember the things I would like them to remember as they head back to school, I came up with this back to school countdown. Each day they would receive an item that is supposed to help them remember a piece of advice along with a note of explanation. 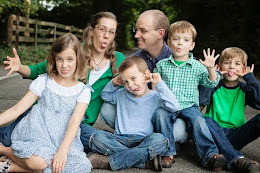 Since we are a Christian family, a lot of what I had to say to them was concerned with remembering our values and the behavior God expects from us all. She loved finding something new outside her door each day! Pencils - you are writing the story of your life with the choices you make every day. Make it a good one! Erasers - It's okay to make mistakes. Just erase and try again. Hand Sanitizer - When you sin, remember that repentance makes you clean again. Kleenex - Sometimes you will feel sad, and you can always turn to us and God for comfort. Markers or colored pencils - The world is full of diversity. Appreciate the people around you for the things they contribute and find your own way to improve the world. Glue or Tape - Stick to the things you know are right to help guide your choices. Chapstick - Just like lip balm soothes chapped lips, prayer will be a balm to the wounded soul. When times get hard, pray. Lotion - soften your heart. Be humble and teachable. Ruler - measure your life by God's standards, not the world's. Bookmark - seek learning out of the best books! Smarties - We are all smart in different ways. M&Ms - you are Marvelous and Magnificent! My letters of advice were lengthier than these snippets, but you get the gist of what I was saying with each item. I didn't use all the ideas the same year, and some are more appropriate for older kids than younger. Choose the ideas you like and make a fun back to school countdown for your kids! You are already buying them new school supplies anyway, so this way you can at least give them some advice along with the supplies. And you can include as much or as little candy as you like. I always try to buy the fun size. 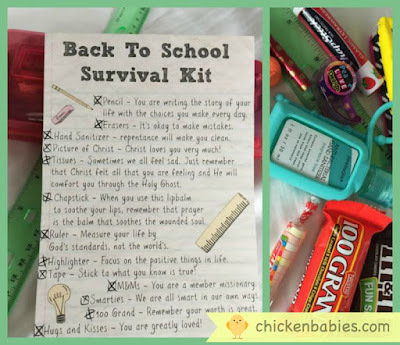 Another option is to bundle it all together in a pencil box and hand it out as a "Back To School Survival Kit". At church, I plan activities for girls aged 8-11 and that's what I did for them. They loved it! I attached this cute handout along with it so they could remember what each thing represented. Thanks for reading! If you enjoyed this post please follow on Facebook, Pinterest, and Instagram!